One of the biggest draws to Australia's online pokies are jackpots. Whether playing for a set reward or chasing a progressive jackpot that keeps on building, Aussies do like to see the real cash incentive of a jackpot on online pokies sites. Many online casinos offer some huge jackpots, especially when playing pokies with progressive jackpots, but we think the best are found at Ruby Fortune . This is your standard jackpot type, and takes the form of X AUD when a certain event is triggered. 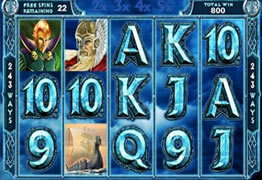 For example, a player might win 50,000 AUD when they line up five jackpot symbols on a slot machine. We'll talk more about these on another page, but the jist is that jackpots build up with each game played until a player wins the jackpot. A number of machines are usually linked together, building one large progressive jackpot that could be won by using any of them. Progressive jackpots may feel like a relatively recent invention but they've actually been around since the mid-1980s. Of course, that only linked up a comparatively small number of machines, so didn't offer jackpots anything like what we see now. Traditional and progressive jackpots (online pokies, Australia land-based and anywhere else you might find them) each have their own set of positives and negatives but, since we already have a page dedicated to [progressive jackpots], we'll primarily stick to talking about traditional jackpots on this page. It's really down to personal taste, but there are a few positive things associated with the traditional jackpot; Australia online pokies players know exactly what they're going to get if they strike it lucky, and playing around with that figure in your head can be part of the experience. 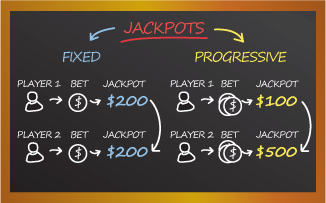 Although progressive jackpots can be enormous most of the biggest payouts in Oz and in online gambling history have been progressive slots jackpots they can be very underwhelming if a player wins very soon after another player has won a large jackpot. What feels like it should be a life-changing sum can actually end up being disappointing. Also, fixed jackpot machines offer smaller, more regular wins. With progressive jackpots, it's all about 'chasing the white whale'. Yes, the end goal can be more impressive, but you have to be willing to stick with them longer and spend more to stand a chance of winning real money back. There are various sites on the web devoted to tracking the value of progressive jackpots and comparing those of different titles. These sites attempt to make luck look like science but, unfortunately, there's no way to predict when a jackpot is 'overdue'. It will pay out when it pays out, and that's that. Despite that, we think that jackpot trackers are still worth a look. 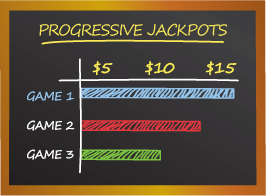 If you're going to be playing for a progressive jackpot and don't have any particular title in mind, you might as well consult them to see where you stand to win the biggest jackpot if you get lucky. Along with wanting to have some fun, Australian online pokie players are hoping to win a jackpot. 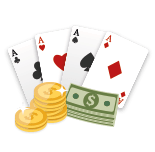 The jackpot is the big payout, and although is may range from 1200 coins to millions of dollars, the fact is there is nothing more exciting than when a player manages to get the right combination for the big win. Some jackpots are easier to hit than others. Traditional jackpots, which are much smaller than progressives, tend to be a lot easier to hit. But if you do win a major progressive, you’re entire life can change. When playing an online pokie it is very important that you choose to play a machine that fits your bankroll. If you play a machine that is too expensive, you won’t be able to enjoy many spins and you’ll greatly reduce your chances of winning. If you want to win often and are fine with smaller amount and smaller jackpots, then play a low variance, traditional jackpot pokie. If you want to be able to qualify for a six-figure or bigger jackpot, then play a progressive for the maximum. 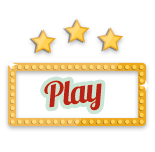 Where can you find great pokies offering large jackpots? It’s easy. 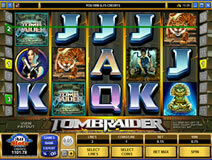 Simply check out the online pokie casinos featured on this page. Our online pokie experts who understand jackpots in every way have carefully chosen these casinos. All of the gaming rooms on this page are secure, trustworthy, and safe. 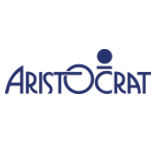 They offer players competitive first deposit and reload bonuses, fun and exciting promotions, and easy banking experiences. Plus, you’ll find a great mix of traditional and progressive jackpot pokies. Enjoy the finest online pokies at one of our top-notch casinos where you’re guaranteed to have a great gambling experience. Who do jackpot (online pokies, Australia offline venues we already know come from the cashier!) payouts come from? That depends on the type of jackpot. 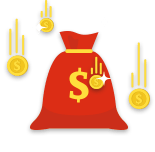 Traditional jackpots will usually be paid out by the site you're playing with, because they have the cash on hand to cover jackpots for the games they're offering. Huge progressive jackpots will more likely be paid out by the creator of the casino software, as an individual casino may only have taken in a very small portion of the bets used to build that jackpot. Are jackpots paid out in a single payment? That's something to watch out for. Many casinos have a payout limit that refers to the maximum account players can withdraw in a single month. Their terms and conditions will generally dictate that large jackpots are an exception to that rule, but dishonest casinos may decline to add that clause. This could potentially mean that the casino pays out your jackpot win in small instalments, and that process could take weeks, months or years. You might not mind knowing that you've got a small, regular payment coming in, but it's not the same as getting your full whack to spend. Another worry would be that the casino might shut down as a business before you get the full amount! When playing in Australia, pokies online jackpots look pretty high. What's the size of a typical jackpot? This really does vary from game to game. The largest progressive jackpot win at an online casino to date is almost 25 million AUD. 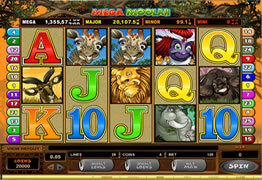 Traditional jackpots will be much lower than this, but can still comfortable reach tens of thousands of AUD. For a detailed breakdown of the prizes offered by a particular title, take a look at the game's pay table. That way you'll have a clear idea of the real money value of the wins you can expect while playing.